Making the choice to breastfeed your new baby is one of the most important and far-reaching decisions you will make as a new mother. Both the American Academy of Pediatrics (AAP) and the World Health Organization (WHO) recommend breastfeeding as the preferred method of infant nutrition for the first year of life. The current AAP breastfeeding policy states,”Human milk is uniquely superior for infant feeding and is species-specific; all substitute feeding options differ markedly from it.” Why? As acknowledged by the Food and Drug Administration (FDA), the exact chemical make-up of breast milk remains unknown and cannot be duplicated. Each year, synthetic baby milks are found to be nutritionally deficient as scientists expand their knowledge of human milk. * Breastfeeding is your baby’s perfect nutrition. Breastmilk is a living substance that changes to meet your baby’s nutritional needs, both during individual feedings and as he or she grows. Plus, you never have to worry about breastmilk being recalled for contamination. * Breastfed babies have higher IQs. Formula feeding is associated with lower IQ’s and cognitive development. A recent study found, on average, children who were breastfed to have a three to five point IQ advantage over their formula fed peers. [ad#ad-2] * Breastfed babies (and mothers!) are healthier. Breastfeeding is proven to reduce risk of infection and disease by aiding in immune system development. Breastfed infants have lower incidences of asthma, gastrointestinal illness, diabetes, cancers, and are less likely to die from Sudden Infant Death Syndrome (SIDS). They are additionally better able to absorb ingested nutrients, and receive greater immunity from childhood immunizations. Breastfeeding also lowers a mothers lifetime risk of many cancers. Even though breastfeeding is a completely natural way of feeding your baby, knowing how to do it properly is a learned skill and takes practice. How can you prepare for a successful nursing experience? Most hospital’s and birthing centers offer a variety of classes to new mothers on parenting, birthing and breastfeeding. Check your local offerings and sign up in advance. Classes often fill up rapidly, so don’t wait. Many excellent titles are available to answer all the questions you forgot to ask your health care provider (and those you were too embarrassed to). 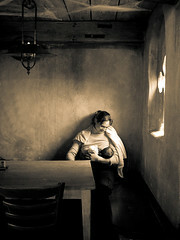 Consider, “The Womanly Art of Breastfeeding,” by Gwen Gotsch, Anwar Fazal, Plume, Judy Torgus. * Think about what you’ll need to make life easier. Breastfeeding has the advantage of being the most simplistic way of feeding a baby—no bottles to wash and carry or formula to buy. But that doesn’t mean a few well chosen accessories can’t enhance the experience. Will you want others to be able to help with feedings, or do you have plans to return to work after your baby’s birth? A hospital-grade breast pump might be in order. Might you be more comfortable during long nursing sessions having a nursing pillow or foot stool? How about breastfeeding in public? Consider the options of a sling or nursing cape for discreet public feedings—and don’t forget to be sized for a properly fitting nursing bra. * The lactation consultant is your friend. Many hospital’s and birthing centers (and pediatrician’s offices too!) have lactation consultants on staff that will be happy to get you and your baby off to a healthy start in your nursing relationship. Don’t miss the opportunity to meet with a consultant for practical, hands-on advice about the mechanics of breastfeeding. Unlike bottlefeeding, you can’t measure how much milk your baby is getting through breastmilk, so keep count of your baby’s wet and dirty diapers to make sure he or she is receiving adequate nutrition. Although it is very rare a mother does not produce enough milk to feed her baby, if you have any questions, be sure to contact your pediatrician. Nursing your baby is a dance that takes time to learn. Though some babies are champion nursers from the beginning, many new moms find it takes some effort to perfect the skill. The first few weeks are often the most difficult, but if you experience problems, don’t give up. Given the right assistance, the vast majority of woman can successfully breastfeed their babies. Meet with a lactation consultant or attend a local La Leche League meeting. Utilize the support of other nursing mother’s. Most of all, pat yourself on the back for making the choice to give your baby the best start in life you can offer, and health benefits that will last a whole life through.